International auctions in Oslo. The home page of Kjell Germeten A/S. Oslo 2 times a year. on May 1.- and 2. 2015. 97% of all lots were sold, making up a total of NOK 9,2 mill. The collections of Peer-Christian Ånensen. The main catalogue of auction # 87. Click here to check prices realised featuring images and descriptions. Click here to see more illustrated results! November 28th and 29th. 2014. The auction catalogue is available here! 1 £ P.U.C. 1929. From a collection Great Britain, Lot # 1896/86. Starting at NOK 40,000. Click here to se some highlights, download the auction catalogue etc! Auction # 83 took place in Oslo on November 30. and December 1. 2012. .. And the list for prices realised! April 20.- and 21. 2012 in Oslo. Click here to download the auction catalogue! in 2 albums. Starting at NOK 5,000. Ref 7036/82. See some more items! Lot #2268: 127/138. 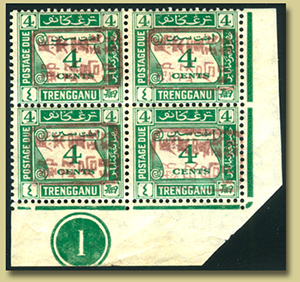 The 1933 issue complete on small pieces, all cancelled "South Georgia C 27 de 33". (S 7000). Starting at NOK 15,000. Realised NOK 41,000. Our auction # 80 took place in Plaza Hotel in Oslo on Friday April 15th and Saturday April 16th. 2011. Click here to download the auction catalogue # 80! Our auction # 79 took place on December 3./4. 2010. You can download the auction catalogue! The list of prices realised! See some more of the items! This is the front of the auction catalogue for our 75. sale in Oslo on November 28. and 29. 2008. It was a great success indeed. Check out the list of prices realised! 3 weeks prior to an auction we issue a hardcopy of an auction catalogue, featuring 150-180 pages in full colour. At the same time we publish the catalogue on the Internet in a pdf-version. If you have given us your e-mail-address, you will be informed when due time for the next catalogue. A beautiful cover sent from Holland to Norway in 1865. Starting at NOK 8,000. Realised NOK 41,000. Lot # 2183, Auction 77 on November 21. 2009. Starting at NOK 10,000. Realised NOK 26,000. We have many vendors as well as regular buyers "all over the world", and many take the trip to Norway and Oslo to participate in our auctions. If you have a valuable collection or some scarce single items, we suggest you should present them to our international buyers. Some of the most eager auction bidders are Norwegians, and Norway is considered one of the strongest markets for stamps in the world - with no government tax on stamps. More information concerning consignment is to be found here! We have systematically built our customer file since 1975, many years before computers were commercially used by other companies in stamp business. As a result, our file today counts approx. 24.500 addresses, carefully registered and not collected from easily accessible sources like files for sale from companies closed down. We appreciate your assistance to maintain our file. Please check that catalogues you receive from us have your complete and correct address, and even more important; give us a message when you are changing postal- or email-address! 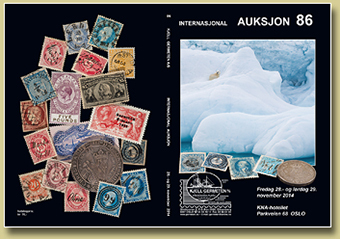 Although Norwegian philately has its dominant part of the content in an auction, there is always a range of good offers of collections and single items from a range of countries as well. Please check out our web-pages dealing with actions from previous years to get an idea of what to expect for the next one. 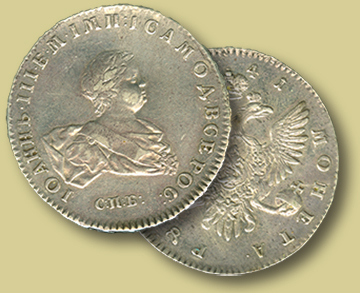 Coins, bank notes and postcards are also important parts of the sale! 4 mark 1686. (NM 81). 1 +. # 81, featuring enlarged images combined with descriptions, starting prices and prices realised! The gallery is divided into sections according to those in the auction catalogue. - We invite you to sell your collections and single items in of the strongest markets in the world! We invite you to our gallery featuring enlarged images of most of the lots, combined with descriptions, starting prices and prices realised.